A key part of the Make-along is to knit or crochet a shawl which will help to expand your skills. For some this means switching to the 'non-dominant' craft and for others, this will include trying new techniques. Most good knitting patterns will include instructions for stitches that are not commonly used, or which may be new to the intended audience (based on the skill-level). Here is a list of helpful tips and links I've been compiling, based on different conversations and questions on the Ravelry group or social media. A few of the links will take you to my tutorials and others are to free content from Craftsy* and Creativebug*. A couple of more complex "paid" options are also listed, and this is clearly stated. 1. Managing multiple-balls of yarn. If you're trying stripes or colourwork, you may like this very simple technique for keeping your yarn balls separate. I took the picture while knitting two-at-a-time socks, but the method is suitable for any project where you're using more than one ball of yarn at a time. Using centre-pull balls also helps. 2. 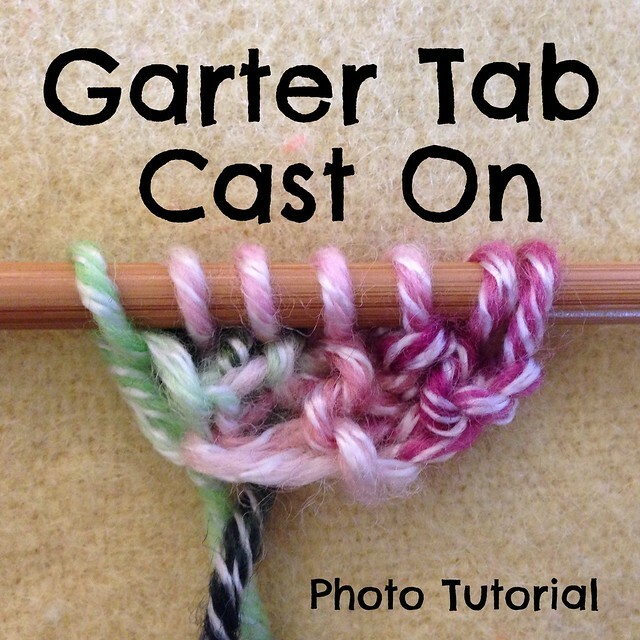 Garter Tab Cast On - one of my own photo tutorials for a technique which is commonly used for shawls as it gives a nice neat start to a top-down centre-out project. 5. 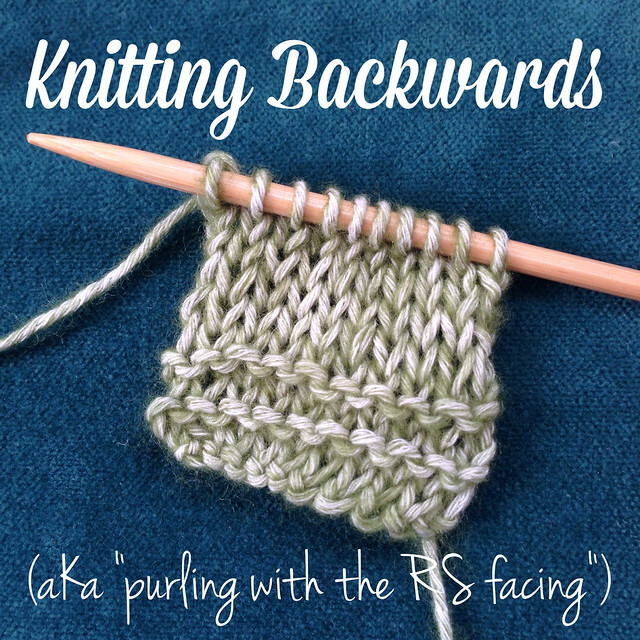 If you're knitting something with lots of bobbles, or frequent turns (like when I made Martina Behm's Miss Winkle in the last knitalong) you may like to check out my "Knitting Backwards" tutorial - which is basically knitting back and forth without turning the work. 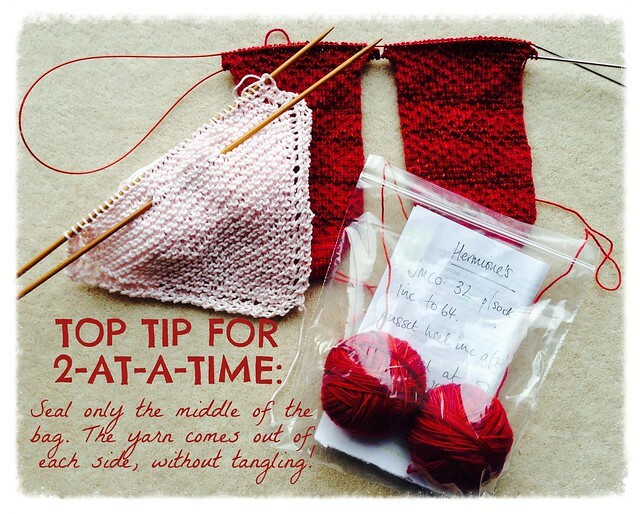 This is especially helpful if your shawl is big or heavy! 7. Short Rows are frequently used to shape shawls. 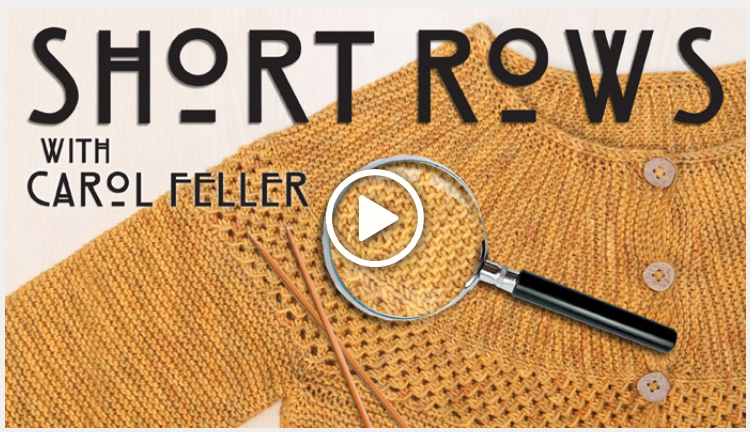 This free Craftsy class covers a lot of information over four short sessions with Carol Feller. If you like it and want to learn more, a more detailed class is also available to purchase. 8. Blocking your finished item, whether knit or crochet, will make a world of difference. You can find the basics on my Introduction to Blocking post. (There is a detailed "paid" class with expert Kate Atherley which is on sale at the time of writing this post). 9. If you're an iphone user there is a useful (paid) app called KnittingHelp Video Reference. When I was learning to knit, this was my go-to resource whenever I needed to check how to work any of the stitches listed in a pattern. It takes up quite a bit of space on your device, but can be accessed offline and the videos cover both 'English' and 'Continental' knitting ('throwing' and 'picking') for the different stitches and techniques. Hopefully, this list covers most of the things people have been asking about already. If you're considering a new technique and could do with some help or would like to know where you can find guidance, feel free to hop on over to the CftC Community Group and leave your question or comment there. As well as it being a lovely helpful group with lots of experience, I'll see what I can find. *I am an affiliate of both, because I enjoy their high-quality content and expert instructors. I am very happy to recommend them both as I spend my own time and money with them. You can read more about this here.